Sometimes all a room needs to complete the perfect finishing touch is a dramatic clock! A modern slim design in black makes this the ideal choice. 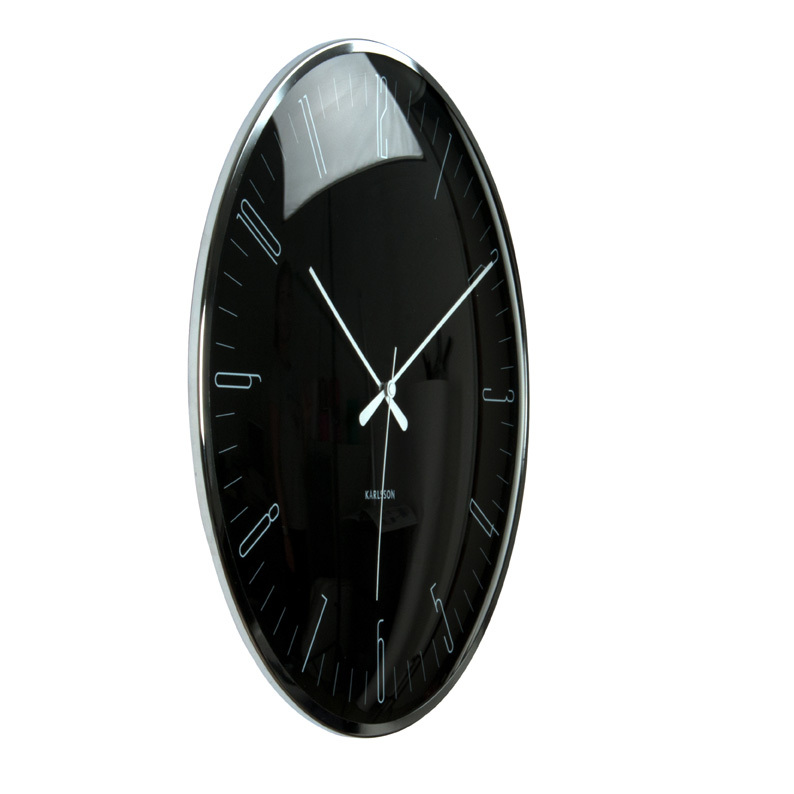 The clock features an Arabic style face with delicate white numbers set on a dark face. A white hour, minute and sweeping second hand adds a classy touch. 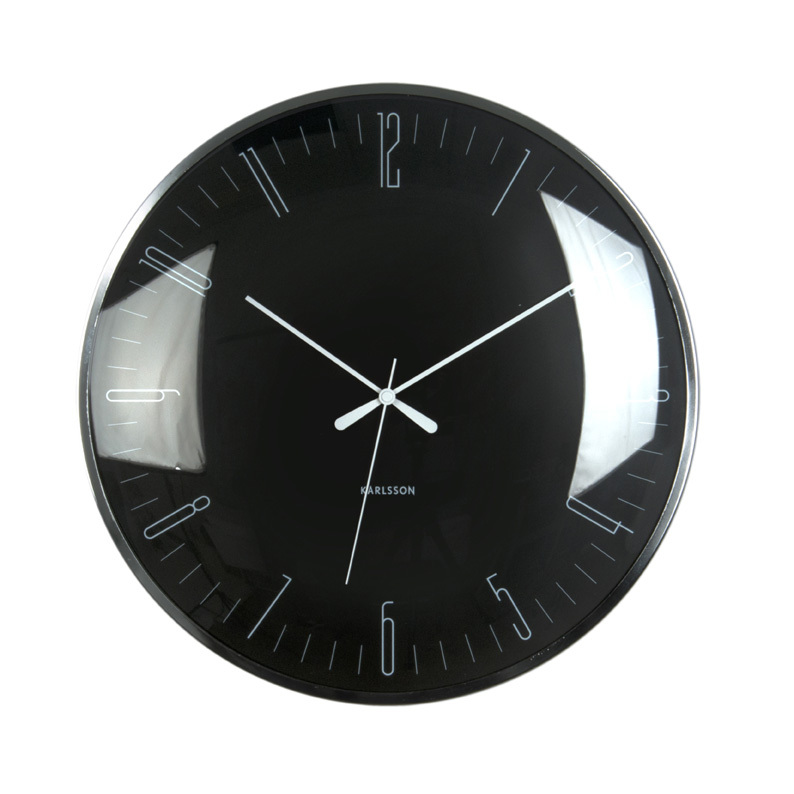 The clock has a glass dome and is sized at 40cm diameter. Perfect for a modern décor theme where it will blend in with a white, silver or grey colour scheme.